Honnavar or Onore was a notable seaport of British India, in the Uttara Kannada or North Canara district of Karnataka. It is mentioned as a place of trade as early as the 16th century. Honnavar is Centre place Surrounded by Cities Panaji/Margoa, Hubli,Shimoga, Mangalore in equal Distance of about 180 Kms and Major Towns Karwar. Kundapur,Sirsi,Sagar in equal Distance of 80 Kms. Honnavar has a port that was one of the most important ones on the west coast of India during the time of Marco Polo. It has many more powerful divine places like Veeranjaneya temple Gerusoppa, Subramanya Kshetra Mugva, Rama theerta, Apsarakonda, etc. Sharavati River- is one of the main attractions of Honnavar. The river joins the Arabian Sea at Honnavar. While joining the sea, the river has created some islands. Colonel Hill- Colonel Hill is an place of interest in Honnavar. It is a 30-meter tall column on the top of a hillock by the side of N-H 17. This column was installed in memory of Colonel Hill on 20 January 1845. It was set up by the 14th Madras Native Infantry at the instance of the East India Company in honor of Col. Hill who died at Gersoppa while commanding the Mysore Division. 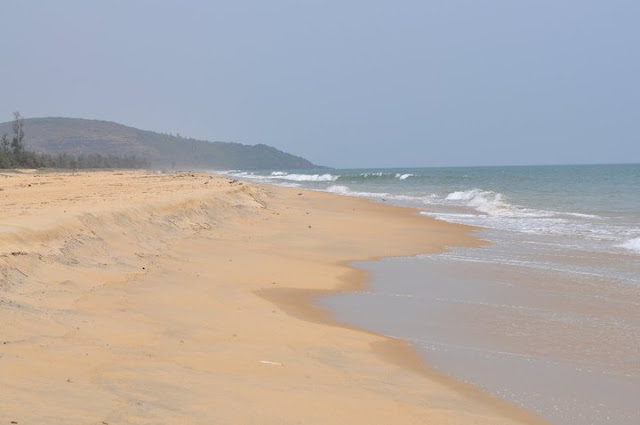 Kasarkod beach- Kasarkod beach is a tourist attraction of Honnavar. It is about 2 km from Honnavar. This beautiful sandy beach is about 5 km long. The waves, golden sand top and the enchanting scenic beauty attract thousands of tourists every day. Basavaraja Durga- Basavaraja Durga is a fortified spot is an 19 hectare island in the Arabian Sea. It is 3 km from the Sharavathi Sea Mouth and can be reached by boat. The fort was constructed during the Vijayanagara rule. In 1690, the Keladi ruler Shivappa Nayak captured it and named it Basavarajadurga in memory of the Keladi Prince Basavaraja. Venkatarama Temple- Venkatarama Temple is a temple famous for its annual Rath Yatra on the occasion of Ramnavami. The event attracts thousands from all the neighbouring towns and villages. By Train- Konkan Railway line passes through Honnavar and has a station at Karki, which is about 5 km from the centre of the town. 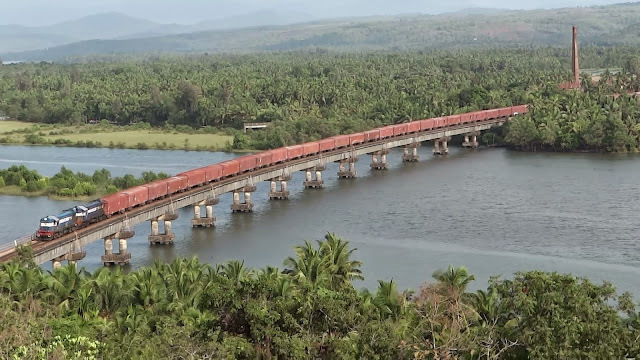 Konkan Railway's longest bridge is 2.065 km in length and is in Honnavar over Sharavati River. There is also a proposal to connect Honnavar and Talguppa in Shimoga district by a new railway line, which will be a shorter alternate rail route between Mumbai and southern India. By Air- The nearest airport is Mangalore International Airport. By Bus- There are regular bus services from Bangalore and other places to Honnavar.